Global waste could grow by 70 per cent by 2050 as urbanisation and populations rise, said the World Bank on Thursday, with South Asia and Sub-Saharan Africa set to generate the biggest increase in rubbish. Countries could reap economic and environmental benefits by better collecting, recycling and disposing of trash, according to a report, which calculated that a third of the world’s waste is instead dumped openly, with no treatment. Until recently, China imported vast amounts of recyclables; at least half the world’s waste plastic and paper was sold to China to supply the raw materials for its rapidly growing economy. It paid good prices for overseas recyclables and did not balk at the high contamination levels. Then in 2017, China first announced that it would no longer accept imports of unsorted paper and then followed up by declaring that any imports of recyclables – including plastics – must have a contamination level below 0.5%. The consequences for Australia’s recycling industry have been devastating. 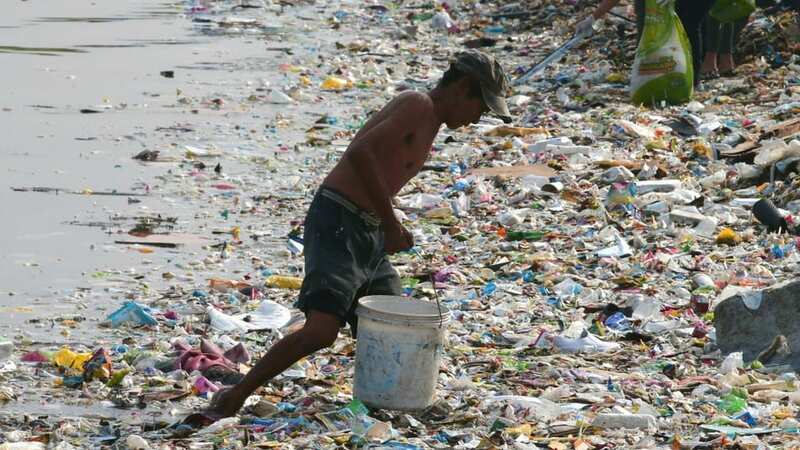 The total waste in the world is enormous. Some of it is recycled but a lot is simply dumped, causing problems for people and the environment. Now the industry is caught in a bind; many recyclers can no longer export recyclables to China because they can’t process the materials well enough to meet the new contamination standards. And, as a result of China’s decision, the commodity prices of recyclables have crashed as the market is being flooded with unwanted goods. Every year we dump a massive 2.12 billion tons of waste. If all this waste was put on trucks, they would go around the world 24 times. Africa used to be a dumping ground for waste, with vast unpopulated lands, it housed a lot of the worlds waste. Now with population growth and development, places like Lagos’s population has grown to about 21 million, from a mere 7 million 20 years ago. Lagos has expanded well beyond its landfill site, and the cavernous dump now finds itself in the center of the city, a hospital on one side, a primary school on another, and homes hovering just over its precipice. Africa, the fastest-urbanizing continent, is full of cities struggling to balance their extraordinary growth with sustainable waste management. The world now produces more than a billion tons of garbage a year, which it incinerates and buries and exports and recycles. But the demands are ever increasing even in developed nations. Take New York as an example, barges transport as much as 3,600 tons of waste down the Hudson River every day. “We really need to pay attention to South Asia and Sub-Saharan Africa, as by 2050, South Asia’s waste will double, sub-Saharan Africa’s waste will triple,” said Silpa Kaza, World Bank urban development specialist and report lead author. “If we don’t take any action it could have quite significant implications for health, productivity, environment, livelihoods,” she told the Thomson Reuters Foundation by phone from Belarus. The inequality in the recycling industry is abhorrent so it is difficult to lay the blame on the growing urbanised populations. High-income countries produce a third of the world’s waste, despite having only 16 per cent of world’s population, while a quarter comes from East Asia and the Pacific regions. Boosting recycling and cutting plastics consumption along with food waste could help reduce rubbish which noted a number of low-income countries lack laws to deal with waste. The demand for recycling is largely dependent on China’s need for recycled plastic, which the country has pledged to stop importing as part of its campaign against ‘foreign garbage.’ So an alternate solution is needed to ensure city skylines are not matched by mountains of rubble in especially third world countries.